On opposite sides of the world, in very different penal systems, penal authorities are trying to gain control of the communication technology used by inmates both to organise themselves within the prison, and to make contact with those outside. In Jakarta, Indonesia, an impromptu raid unearthed and confiscated illegal devices such as cell phones, chargers, and an iPad, and in California USA, the private company that owns the pay phones in the state’s prisons is installing technology to prevent inmates from using smuggled cell phones to make their calls. Under the new plan, each prison will have a cellphone tower that can be controlled by prison officials. Cell phones supplied by the approved provider will be able to send and receive signals, but contraband phones will be useless. The introduction of this technology in California’s jails draws attention to the porosity of the prison wall, engaging with Goffmann’s interpretation of the prison as a ‘total institution’, and to critiques which draw attention to its porosity and permeability. The blurred nature of the prison boundary has been observed by Baer and Ravneberg (2008), who in their description of Norwegian and English prisons highlight the indistinction that they perceived between outside and inside, and by Moran (in press) in relation to prison visiting spaces in the Russian Federation. The prison wall is permeable not only in that it permits the interpenetration of material things (people, supplies) but also intangible things (ideas, the internet, emotional attachments), and this move in California could be interpreted as a means of wresting back some control over the level of porosity or permeability of the prison wall to communication technology. Where prisons are matters – not just for the local inhabitants of surrounding areas concerned for their house prices or their employment prospects, but for the families of the incarcerated who face problems in visiting prisoners when they are held at distance from home, and for imprisoned parents who want to see their children. In New York, USA, two politicians have recently introduced bills that would establish a pilot program for 60 parents to be incarcerated near their children. According to a piece in the NY Daily News, although more than 73% of incarcerated women in New York are mothers and roughly 100,000 New York children have a parent in prison, the state Department of Corrections makes no provisions for parents when it assigns them to prisons across New York state. 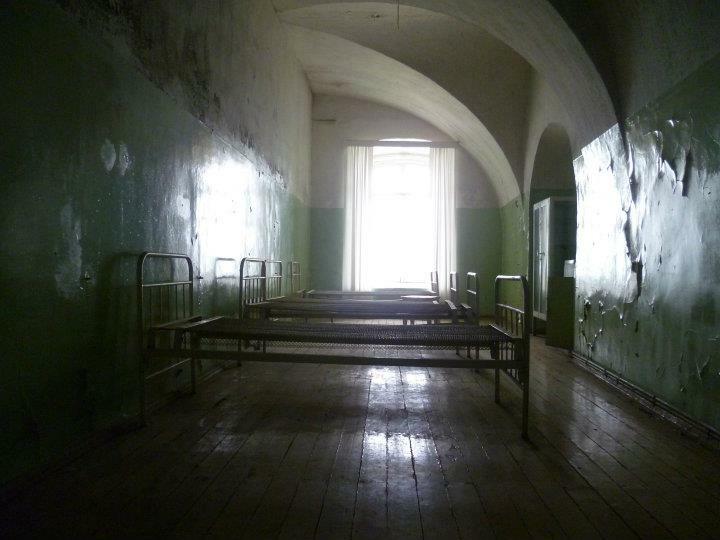 The impact of distance on the experience of imprisonment, particularly for mothers with young children, is the focus of a recently completed project looking at the experience of women in Russia’s prison system, and is discussed in a forthcoming book, as well as in a recent paper which describes Russia’s geography of punishment. While carceral geography has tended to concentrate on the impact of the spatial distribution of places of incarceration on the communities which host or surround them, research into the impact of distance from home and family during imprisonment would complement the wealth of research within criminology and prison sociology into the ‘collateral’ effects of incarceration. “I can make about four steps forward before I touch the door” The embodiment of incarceration. Incarceration is the confinement of the physical body – although the imagination may travel beyond the prison cell and the prison wall, the act of imprisonment seeks to confine the body within demarcated space. But what happens to bodies treated in this way, and to the individuals who inhabit them? Yesterday, Herman Wallace and Albert Woodfox marked the forty year anniversary of their solitary confinement in Louisiana’s notorious Angola jail. As Ed Pilkington notes in The Guardian, both have spent ’23 hours of every one of the past 14,610 days locked in their single-occupancy 9ft-by-6ft cells’. Contact with the world outside the windowless room is limited to the occasional visit and telephone call, “exercise” three times a week in a caged concrete yard, and letters that are opened and read by prison guards. In a new documentary film, “Herman’s House“, directed by Angad Bhalla and produced by Lisa Valencia-Svensson, (to shown at the Hot Docs International Documentary Festival on April 27), Wallace both describes his imprisonment:(“Being in a cage for such an extended period of time, it has its downfalls. You may not feel it, you may not know it, you may think you’re OK, and you’re just perfunctory about it.”) and allows his imagination to traverse the prison wall to co-create an art installation featuring detailed plans of his “dream home”. Amnesty International delivered a petition for the two men’s release from solitary to the Louisiana State Capitol in Baton Rouge on the date of the anniversary, and the 40 year anniversary has drawn greater attention to the practice of solitary confinement in the US, not least because of the severe and debilitating effects of this kind of incarceration on body and mind. For carceral geography, the effect, or affect, of solitary confinement on the incarcerated is a direct example of the influence of space on behaviour. Space is, after all, is not just a passive backdrop to social practice; it has ‘seductive spatiality’ (Rose et al 2010, 347) and ‘ambient power’ (Allen 2006, 445) to affect how those encountering it act, both consciously and subconsciously. Contemporary human geography’s concern for the corporeal and the embodied resonates with the work of criminologist Azrini Wahidin, and her work on the corporeal effects of imprisonment, with prisoners’ bodies remade and reinscribed in the penal context. Carceral geography has the opportunity to deploy geographies of affect, emotion and embodiment to enhance understandings of the effects of solitary confinement, and to do so in a way which contributes to efforts to make positive social and political change. The extreme isolation regime used in special prisons in the US state of Arizona is cruel and dehumanises inmates, according to Amnesty International, as it released a new report accusing the state authorities of failing to care for the basic physical and mental health of these isolated prisoners. Reduce the number of prisoners in isolation under SMU or similar maximum custody conditions to ensure that only prisoners who are a serious and continuing threat are held in maximum custody isolation facilities. Provide a route out of segregation through incentive or step-down programs so that prisoners are not held long-term or indefinitely in isolation. Improve conditions for prisoners in SMU or other maximum custody facilities so that they are not confined in windowless cells or denied access to natural light; have more out of cell time and better exercise facilities with appropriate equipment. Understandings of carceral space, which include these extreme conditions of incarceration, are important for carceral geography. Geographers have a critical constructionist notion of space, understanding that it is not passive, but is constantly being produced and remade within complex relations of culture, power and difference. Although spaces of supermax prisons await this kind of socio-spatial inquiry, in her 2005 paper, “Inclusive Exclusion: Citizenship and the American Prisoner and Prison,” Agnes Czajka considered the proliferation of prisons in the United States, particularly the increasing number of supermax security or “camp” prisons, as an example of “the normalization of a state of exception”, drawing on the work of Giorgio Agamben. In a very different penal context, Teresa Dirsuweit (1999) discussed the interrelationship of identity and space, mapping out the prison in terms of the physical spaces and the signification that these spaces hold for prisoners and prison authorities, and Anita Wilson’s work has produced rich ethnographic material on the personal transformation of prison spaces. David Sibley and Bettina van Hoven argue in their 2008 paper for ‘a fuller exploration of the relationships between prison architecture, the space–time regime, and correctional officers, on one hand, and the worlds of inmates, on the other’. They point out, though, that as Amnesty found in Arizona, prison authorities do not often facilitate this kind of research. Perhaps the Amnesty report shows that understanding how prison works, and how institutional spaces are produced and experienced, is critical to tackling such ‘inhumane’ conditions.